Cramped for space? 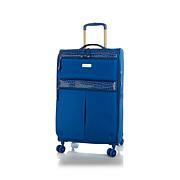 Find the room you need for travel supplies and souvenirs in this large suitcase. Self-repairing zippers, expandable sides and spinning wheels make this the right piece for a long haul. Navy and Navy/Camel are the same color. Max. Capacity: Approx. 55 lbs. I have the other two pieces to match and I just love this luggage. I get so many compliments on the color and style. The room and storage is very well thought out. Haven't used the 28" upright yet, but I have several of her other pieces. I bought this is burgundy to match my carry on and 21". The quality seems very good and certainly worth the price. I'm looking forward to using this on my next big trip. 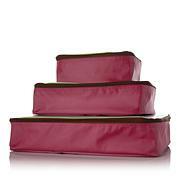 I had previously ordered the 20" version of this with the carry on "doctor's bag/travel bag". 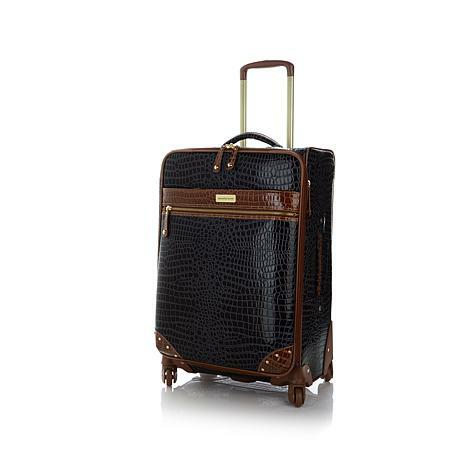 I had been waiting to place an order for the 28" matching suitcase, which every time I would check the color (the maroon/wine color one) would always be out of stock. The 28" suitcase arrived a it is ginormous! Exactly what I was looking for. Thank you Samatha Brown for this suitcase collection!